Corn Dog City is crowded. 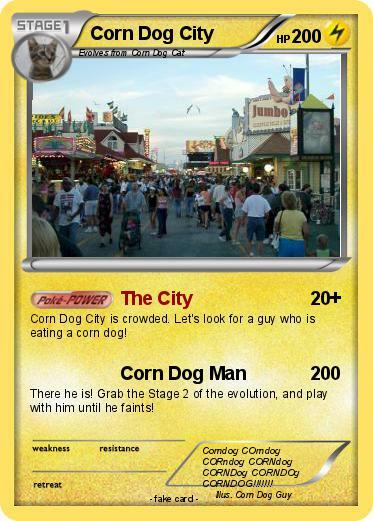 Let's look for a guy who is eating a corn dog! There he is! Grab the Stage 2 of the evolution, and play with him until he faints! Comments : Corndog COrndog CORndog CORNdog CORNDog CORNDOg CORNDOG!!!!!! !